Cripple Creek Golf & CC - Beachy 4 br, 3 1/2 bath, 3380 sq.ft. home with a 2 car garage. 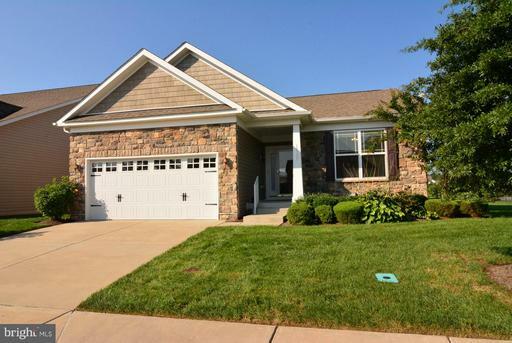 Open concept first floor and great room on 2nd floor, 1st & 2nd floor masters with spa baths. Living room has a gas fireplace, 4 season sunroom facing golf course, Stainless Steel Appliances, granite and corian counter tops, hardwood and tile floors with carpeted bedrooms. Awesome views from the front deck and porch of the Indian River Bay and two decks in the back facing the 6th green of the golf course. Fully furnished and ready to go. The initial initiation fee of $25,000 in included. Recreational amenities are a la carte. Built by Chase Builders out of Silver Spring, MD this open floor plan will invite family and friends to relax and enjoy the many amenities of this custom home. Gourmet kitchen, gas cook top, granite countertops, hardwood floors, ceramic tile baths, gas fireplace, Rinnai hot water, solar efficient heating and cooling, plus a 3 car garage are only a few of the fine elements of this home. Topped off with an expansive back deck overlooking a landscaped backyard with a direct view of a large pond! A must see! 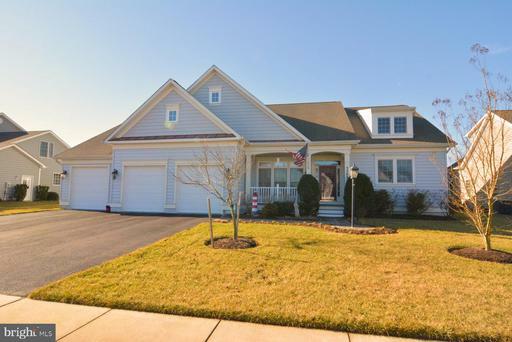 Located close to Lewes and Rehoboth this is maintenance free living at its best. 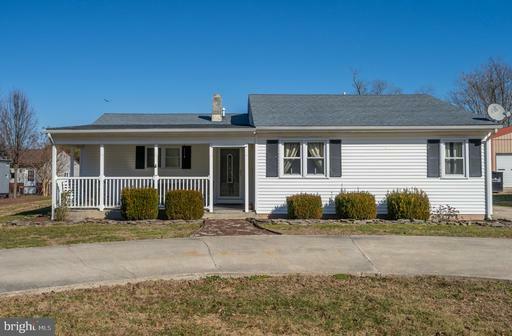 Plenty of room for family and friends with four full bedrooms and three full baths. Mostly finished basement offers room for fun and games with some great storage space left over for your extra stuff. The community has everything. Great pool and party area, clubhouse, movie room, pool tables, tennis, etc. Plan to see this one today! ATTENTION INVESTORS and business owners- This is an excellent opportunity to invest in your future. 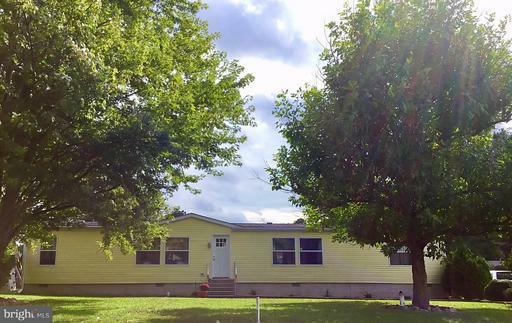 1.15 Acres with plenty of room for additional outbuildings. Ideal location in a high growth area with potential to substantially appreciate in value. GR zoning with Public sewer and water available in the very near future. Great floor plan to live in, and create space for a home office. Over-sized detached garage, and shed on property. Property is 610 +/- feet deep, and extends deep to the farm clearing. Endless Possibilities and potential. Welcome Home to your new abode, which features a Beautiful Colonial on .24 acres! Spacious open floor plan on main level with Formal Dining Room and Great Room including a Gas Fireplace. First floor features a 1/2 bath. Kitchen connects to Great Room which leads to the Deck out back. Second floor includes 4 Generous Bedrooms, one of which is the Master Suite with a Cathedral Ceiling & Walk in Closet. 2 Car Garage & Driveway. Mature trees and bushes Welcome you when you drive up to your new residence. Backyard deck embraces you and your guests for out door entertaining!